As CSF noted last week, Congressional Democratic leaders Speaker Pelosi and Senate Minority Leader Schumer said they would seek President Trump’s support for legislation to invest up to $2 trillion to rebuild U.S. infrastructure, including roads, bridges and schools. CSF is working on opportunities to advance support for school infrastructure. The House Education and Labor Committee has favorably approved the Rebuild America’s Schools Act to invest in our nation’s school infrastructure. The Rebuild America’s Schools Act addresses a national need to assist states and local school districts to in providing safe, modern, healthy, energy efficient schools for our nation’s students. The Rebuild America’s Schools Act provides federal financial support through grants and tax credit bonds to help repair, renovate and modernize America’s schools, stimulating and creating local jobs. CSF is working with House leadership, Education and Labor Committee Chairman Scott, and other House Committee Chairs as the House coordinates efforts for infrastructure legislation and the Rebuild America’s Schools Act. Chairman Neal (D-MA) and the Ways and Means Committee have jurisdiction on tax credit bonds and Chairman DeFazio (D-OR) and the Transportation Committee will be engaged on infrastructure bills. The House Ways and Means Committee, led by Chairman Neal (D-MA), may consider tax extenders in May. This could open the door for CSF to work with California Ways and Means Committee Members to restore Qualified Zone Academy Bonds (QZABs) and other tax credit bonds which were cut in the Taxpayer Relief Act. Previously, the QZAB program had been reauthorized with other tax extenders on a bipartisan basis since originally authorized in 1997. CSF will ask the California Members of the Ways and Means Committee to work with Chairman Neal to restore the QZABs and other tax credit bonds by including Title II of the Rebuild America’s School Act with any tax extenders bill. California Ways and Means Committee Members are: Mike Thompson, Linda Sanchez, Judy Chu, Jimmy Panetta, Jimmy Gomez and Devin Nunes. •	Qualified School Infrastructure Bonds authorized for $30 billion, $10 billion each for FY 2020, FY 2021, and FY 2022. The Rebuild America’s Schools Act and tax extenders are just two of the potential opportunities to advance school infrastructure this year. CSF will be working with the California Congressional delegation, House and Senate leaders, and Congressional Committees for federal support and investment in California school facility infrastructure. Thanks to all who support the efforts of CSF and CASH to build, renovate, repair and modernize California’s schools to advance student achievement and success. Californians for School Facilities (CSF) is making progress in urging greater federal investment in school facilities. The following is from the April 11, 2019 Reuters article titled, U.S. Democrats seek up to $2 trillion to invest in aging infrastructure. “LEESBURG, Va./WASHINGTON (Reuters) - Democratic leaders in Congress said on Thursday they would seek President Donald Trump’s support in coming weeks for legislation to invest up to $2 trillion to rebuild U.S. infrastructure, including roads, bridges and schools. House of Representatives Speaker Nancy Pelosi and Senate Democratic leader Chuck Schumer said at separate news conferences they would try to revive an effort that sputtered early in Trump’s presidency for major investments in aging public works.” Click to view the full article online. The House Education and Labor Committee is scheduled on Tuesday, February 26 at 10:15 a.m. to mark-up H.R. 865, the Rebuild America’s Schools Act school infrastructure bill, sponsored by Committee Chair Bobby Scott (D-VA), with 164 House co-sponsors. Authorizes $70 billion allocation to states. -High Speed Broadband: States may distribute up to 10% to enable LEAs to leverage existing public programs or public private partnerships to expand high speed broadband sufficient for digital learning. -Provides a temporary increase of $170 million to Impact Aid Construction under ESSA for FY 2020 through FY 2023. Californians for School Facilities supports the Rebuild America’s Schools Act. We encourage CSF and CASH supporters to express support for the Rebuild America’s Schools Act. Below is a list of California House Members of the Education and Labor Committee. All California Committee members are co-sponsors of the Rebuild America’s Schools Act. CSF will provide additional updates as the House Education and Labor Committee considers and acts to approve the Rebuild America’s Schools Act. Californians for School Facilities (CSF) provides California schools federal lobbying for nationwide school facility program funding. With the leadership of Bob Canavan, CSF’s Washington, D.C. lobbyist, John Dominguez (CSF Vice Chair), Joe Dixon (CSF and CASH Past Chair), John Baracy (CASH Board Member) and David Walrath were in Washington, D.C. to lobby for The Rebuild America’s Schools Act of 2019, H.R. 865 (Scott) and S. 266 (Reed), that would provide $100 billion in federal support for school facilities. - Re-establishing Qualified Zone Academy Bonds (QZAB) at $1.4 billion per year that we expect would provide California about $150 million per year in these tax credit bonds (prior authorization was $400 million per year, of which California received about $42 million per year). - Makes QZAB reforms to eliminate the required 10% local match, allows for some new construction and makes QZABs easier to use. - Creates Qualified School Infrastructure Bonds (QSIB) authorized for $30 billion ($10 billion for each of 2020-21, 2021-22 and 2022-23). - Provides $70 billion in grants for school facility repair, renovation and some construction. - Allows up to 10% of the funds to be used for expanding high-speed broadband access for digital learning. - Requires energy efficiency provisions. CSF thanks all of these offices and especially Speaker Pelosi’s office for her strong support and leadership ensuring school facilities are part of the infrastructure package. WASHINGTON – Today, Congressman Donald Norcross (NJ-01), Senator Jack Reed (D-RI), and Congressman Bobby Scott (VA-03), chairman of the Education and Labor Committee, led House and Senate Democrats in introducing a proposal to invest more than $100 billion in America’s public schools. The Rebuild America’s Schools Act (H.R. 865) would fund $70 billion in grants and $30 billion in bonds to help address critical physical and digital infrastructure needs in schools across the country. According to economic projections, the bill would also create more than 1.9 million good-paying jobs. Click here to read the full press release on the House Education & Labor Committee website. Good news as CSF prepares for the Washington, D.C. School Infrastructure Trip, February 6-8: House Education and Labor Committee Chairman Scott (D-VA) and Senator Reed (D-RI) are jointly re-introducing the Rebuild America’s Schools Act in the House and Senate. CSF supports the Rebuild America’s Schools Act, which will provide federal grants and bonds to assist California and local California school districts in building, repairing, renovating and modernizing California schools and classrooms. $70 billion allocation to states authorized. QZABs Restored: Restores certain qualified tax credit bonds as if the repeal by the Tax Cuts and Jobs Act of 2017 had not taken effect. Allows for the proceeds from QZABs to be used for construction of public school facilities. QZAB authorization raised to $1.4 billion. Local private contribution requirement removed. Qualified School Infrastructure Bonds authorized for $30 billion; $ 10 billion each for FY 2020, FY 2021, FY 2022. High Speed Broadband: States may distribute up to 10% to enable LEAs to leverage existing public programs or public private partnerships to expand high speed broadband sufficient for digital learning. Provides a temporary increase of $170 million to Impact Aid Construction under ESSA for FY 2020 through FY 2023. CSF thanks and looks forward to working with Chairman Scott and Senator Reed and their co-sponsor colleagues as the Rebuild America’s Schools Act is introduced and considered in the 116th Congress. This Act will provide federal financial assistance partnering with California and local California school districts to provide safe, modern, healthy, energy-efficient schools for our students. Federal financial support through Rebuild America’s Schools Act grants and bonds will help repair, renovate and modernize California’s schools and create local jobs. The Act will help provide California students modern, technologically and energy efficient schools and classrooms where they can develop the skills necessary to succeed in the 21st Century workforce. As they prepare for introduction, the Senate bill has 12 co-sponsors to date, including California Senator Harris. The House bill has 122 co-sponsors. Click here for the full list of 122 House co-sponsors of the Rebuild America’s Schools Act. CSF especially thanks the 27 California member co-sponsors highlighted. Thank you to Senator Harris as one of the 12 current co-sponsors of the Senate version of the Rebuild America’s Schools Act. CSF will contact other California House members to join as co-sponsors of this important Act. CSF looks forward to working together with Chairman Scott and Senator Reed to advance the Rebuild America’s Schools Act investment in our nation’s school infrastructure to modernize our students’ schools and classrooms, to advance student success and achievement, and to generate local jobs. Please join CSF’s effort and if possible participate in the CSF School Facility Washington, D.C. Advocacy Trip February 6-8, 2019. Thanks to all who support the efforts of Californians for School Facilities and the Coalition for Adequate School Housing to build, renovate, repair and modernize California’s schools to advance student achievement and success. A new Congress has arrived in Washington and school infrastructure will be in play as House Democrats focus on infrastructure as a priority issue. Funding for education programs including special education IDEA state grants, ESSA Title I, and Career and Technical Education for next Fiscal Year 2020 will be on the table as the new Congress develops the FY 2020 budget and appropriations plans under new rules potentially affecting budget and spending caps. But, before Congress can start on these issues, it also has to finish FY 2019 funding and reopen 9 federal agencies. The lame duck session of the 115th Congress quietly adjourned on January 2nd in the middle of a partial government shut down without completing Fiscal Year 2019 funding for 9 federal agencies. The government shutdown began in December after the President declined to sign a Continuing Resolution passed by the House and Senate extending agency funding until February 8 because he expected additional funding for a border wall. The 116th Congress was sworn in on Thursday, January 4th with the House of Representatives controlled by a new Democrat majority and led by a new Speaker, Nancy Pelosi (D-CA). In her remarks to the House, Speaker Pelosi called for, "Building an economy for all Americans, giving them the tools they need to succeed in the 21st Century: public education, workforce development, good-paying jobs and secure pensions." Congressman Kevin McCarthy (R-CA) will serve as Republican Minority Leader. Now is the time for these new members of Congress and the staff in their new local district offices to learn about how Californians For School Facilities and the Coalition for Adequate School Housing support the California school districts who build, renovate, repair and modernize California school infrastructure facilities, advancing the education success of California students and communities. The new House majority acted quickly to address the FY 2019 funding delay by passing, with a 241-190 vote, a $272.4 billion spending package (H.R. 21) combining six unfinished Appropriations bills that would fund the Agriculture, Interior, Commerce, Justice, Transportation, Housing and Urban Development, Treasury and State departments through September. A similar package of Appropriations bills was previously approved in the Senate bipartisanly last year on a vote of 92-6. The new House also passed a stop-gap Continuing Resolution (H.J. Res 1) on a vote of 239-192, extending current funding for the Department of Homeland Security through Feb. 8 to allow time for negotiations on the President’s disputed border wall. Senate Majority Leader Mitch McConnell, (R-KY) is taking the position that the Senate will only take up agency funding legislation if it has enough bipartisan support to pass the Senate and has the President’s support and commitment to sign. The President is refusing to sign bills reopening the closed agencies until $5 billion is provided for the border wall. The Administration issued veto threats if the House funding bills reach the President. "Without a wall you cannot have border security." The President, in a White House address, said there is a “national crisis” at the border. Democratic leaders disagreed with his description of the situation on the border. The House completed a FY 2019 funding package for 8 agencies and extended Homeland Security Funding, and is now passing funding bills for individual agencies (bills previously overwhelmingly approved by the Senate). However, the negotiations between the President and Congressional leaders to end the government shut down remain stalled over the President’s “wall”. Some members of Congress have proposed a compromise solution, providing the $5 billion sought by the President for a border wall while offering temporary legal status to Dreamers, but that has not gained any traction. The government shutdown is now in its third week. The stalemate continues and 9 federal agencies remain closed, federal services are temporarily discontinued and over 800,000 federal workers across the country are not being paid. Note: The Department of Education is open and fully funded for FY 2019 with funding provided for ESSA, IDEA, CTA and other education programs. Californians for School Facilities will work with the 116th Congress and the House Democratic majority, with 40 new members including the 6 new California members, for investments in school infrastructure. House Speaker Nancy Pelosi (D-CA) on election night cited school infrastructure as a priority of the Democrat majority. CSF supports school infrastructure bills such as Congressman Scott's Rebuild America's Schools Act (H.R. 2475) providing more than $75 million in grants and financing for bonds to underwrite school infrastructure facilities and Senators Reed and Brown's School Building Improvement Act (S. 1674). Congressman Scott and Senators Reed and Brown are planning to merge their school infrastructure bills into a new Rebuild America’s Schools Act which is expected to be introduced in both the House and the Senate in January. The joint Rebuild America’s Schools Act will include grants and bonds to help assist state and local school districts to finance the $513 billion in school facilities needs across the country. 106 members of the House have already agreed to co-sponsor the Rebuild America’s Schools Act. California House members early Rebuild America’s Schools Act co-sponsors: Aguilar, Diaz Barragan, Brownley, Chu, Davis, Eshoo, Huffman, Lowenthal, Matsui, McNerney, Napolitano, Panetta, Roybal-Allard, Swalwell, and Takano. CSF thanks these co-sponsors and will request that all California members co-sponsor the bill. Congressman Scott, as Chair of the Education and Labor Committee, is planning early hearings on and consideration of the Rebuild America’s Schools Act followed by floor action in the House of Representatives. During our February 6-8 advocacy trip, CSF will advocate for federal support for California’s school infrastructure by asking California members to support and co-sponsor the Rebuild America’s Schools Act. CSF will also work with the House Ways and Means and Senate Finance Committees for tax credit bonds such as Qualified Zone Academy Bonds, Qualified School Construction Bonds, Build America Bonds, and Energy Bonds which have assisted California school districts build, repair, renovate and modernize schools and classrooms across California. This week the House, by unanimous consent, and Senate, on a voice vote, passed a Continuing Resolution which the President is expected to sign. The Continuing Resolution Bill (H.J. Res. 143) will provide funding for the nine departments and assorted agencies that don't yet have full-year spending bills as well as extending a number of expiring authorizations, including Violence Against Women Act programs, Temporary Assistance for Needy Families and the National Flood Insurance Program through December 21. The seven remaining spending bills need to be packaged together by December 21 or federal agencies such as the Agriculture, Interior and Homeland Security Departments will face a funding lapse for the remainder of the 2019 Fiscal Year. The President is insisting on full funding of $5 billion for a border wall. It is a major topic of the funding negotiations. Tuesday December 11, Senate Democratic leader Charles E. Schumer, (NY) and House Democratic leader Nancy Pelosi (CA) are scheduled to meet with the President at the White House. Ways and Means Committee Chair Brady and the Republican Committee majority have sent a tax bill (H.R. 88) to the House Floor. House leaders scheduled, but ultimately pulled, the Republican-backed tax package from the House Floor schedule. H.R. 88 is estimated to cost more than $54 billion over a decade. The bill was drafted without any consultation or input from Ways and Means Democrats and is a list of tax breaks and changes that House Republicans would like to pass before the House changes hands in January. The bill includes changes at the IRS with extensions of more than two dozen expired tax breaks and corrections to last year's tax code overhaul (P.L. 115-97). There was no opportunity to consider reinstating the Qualified Zone Academy Bonds (QZABs) and tax credit bonds cut by the House in last year’s tax bill. Democrats criticized the last minute lame duck session tax package, which includes specific, fixes to last year's tax bill. Rep. Richard E. Neal, (D-MA) the ranking member of the House Ways and Means Committee and incoming Chair of the Committee in the 116th Congress, accused Republicans of "fiscal malpractice" by offering the package in the lame duck session. Californians for School Facilities supports the reinstatement, continuation and extension of the cost effective QZABs and other tax credit bond programs. CSF is asking the Ways and Means Committee and the Senate Finance Committee to reinstate, continue and improve the QZAB program. Tax credit bonds such as QZABs are cost effective, providing critical financial support for modern, technologically and energy efficient schools and classrooms. It is still possible that the bill will be considered in the House in the few days left in the lame duck session, but Senate consideration is uncertain. CSF is also asking the Senate Finance Committee to reinstate, continue and improve private activity bonds and also to sustain municipal bonds. Senate consideration of the tax bill is very uncertain, especially since the lame duck session has few legislative days remaining. An effort could be made to include some of the tax bill provisions in an end of session package. CSF will continue to follow this tax bill and to advocate for the reinstatement of QZABs and tax credit bonds in the lame duck session. CSF will work with the 116th Congress and the House Democratic majority, with 40 new members including 7 new California members, for investments in school infrastructure. Incoming House Speaker Nancy Pelosi (D-CA) on election night cited school infrastructure as a priority of the Democrat majority. 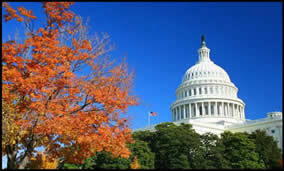 CSF supports bills such as Congressman Scott's Rebuild America's Schools Act (H.R. 2475) providing more than $75 million in grants and financing for bonds to underwrite school infrastructure facilities and Senators Reed and Brown's School Building Improvement Act (S. 1674). CSF February 6-8 Advocacy Trip – Register Today! During our February 6-8 advocacy trip, CSF will also work with the House Ways and Means and Senate Finance Committees for tax credit bonds such as Qualified Zone Academy Bonds, Qualified School Construction Bonds, Build America Bonds, and Energy Bonds which have assisted California school districts to build, repair, renovate and modernize schools and classrooms across California. With the House of Representatives flipping to be Democratic-controlled, the opportunity for Rebuild America’s Schools legislation has increased significantly. Mr. Scott (VA) will be chair of the House Education and Workforce Committee. He has indicated that Rebuild America’s Schools will be one of the first pieces of legislation he wants the Committee to consider passing to the full House Floor. That legislation would provide $70 billion over 10 years for school facilities; 60% would be in grants and 40% would be in tax credit bonds such as Qualified Zone Academy Bonds (QZABs). This is a very positive situation for CSF and all California schools because, if passed in its current form, the legislation would provide close to $10 billion for California schools during the next decade. The President appears to be interested in infrastructure and we hope that Rebuild America’s Schools will be the type of infrastructure he is willing to support. CSF will be back in Washington to lobby for school facilities to be included in any infrastructure package. We will be in Washington during either the last week of January 2019 or the first week of February 2019. Please save these dates! We will provide more information in the next two weeks. A Californians for School Facilities (CSF)/Coalition for Adequate School Housing (CASH) team traveled to Washington, D.C. October 10-12th, advocating for federal investments to partner with California efforts to modernize California’s schools and classrooms. CSF is urging Congress to make federal investments with state and local partnerships supporting school facility infrastructure, advancing student achievement, success, and career development and generating local construction jobs. The CSF team also highlighted the critical role schools play assisting emergency services in local communities during natural disasters such as the California wildfires and the recent North and South Carolina and Florida hurricanes. It is critical that local schools receive emergency support to continue providing essential education and other services to their students and communities. The CSF team met with senior staff of the House Education and the Workforce Committee to discuss school infrastructure as a policy priority in the next Congress. The discussion centered on Congressman Bobby Scott’s H.R. 2475, The Rebuild America’s Schools Act bill, providing grants and financing for bonds to underwrite school infrastructure facilities. Congressman Scott, as the Ranking Member of the Education and the Workforce Committee, will become Chair of the Committee in the 116th Congress if the Democrats take control of the House in the mid-term election. Congressman Scott’s Rebuild America’s Schools Act has 116 co-sponsors, including 23 members of the California House delegation. The CSF conversation with Committee staff was very positive. The CSF team also met with senior staff of the House Ways and Means Committee to discuss how tax credit bonds such as Qualified Zone Academy Bonds (QZABs), Qualified School Construction Bonds (QSCBs), Build America Bonds and Energy Bonds have assisted California school districts to build, repair, renovate and modernize schools and classrooms across California. The CSF team discussed how the Ways and Means Committee will consider infrastructure and financing for school facilities through programs such as Build America Bonds, tax credit bonds such as QZABs, QSCBs, and energy bonds early in the next session of Congress. The CSF team met with staff of Senators Jack Reed (D-RI) and Sherrod Brown (D-OH) to thank them for a provision in the enacted Labor, Health and Human Services, and Education appropriation bill for a national study of state school facility needs. This information will provide updated data on the pressing need for school facilities infrastructure in California and every state. The CSF team also expressed CSF’s support for Senator Reed and Senator Brown’s S. 1674, The School Building Improvement Act, to provide grants and bonds to finance school infrastructure facilities. The CSF team spoke briefly with Senator Feinstein and briefed the staff of Senator Feinstein and Senator Harris on the multi-billion dollar need to invest in California school facilities and the ongoing efforts to build, repair and improve school infrastructure in local districts, schools and classrooms across California. CSF requested that Senator Feinstein and Senator Harris join Senator Reed and Senator Brown and other Senators as co-sponsors of The School Building Improvement Act. Overall, the CSF team received positive and encouraging responses and clear indications from California members and senior Committee staff that school infrastructure will be an early priority in the next Congress. CSF will continue to urge Congress to make federal investments with state and local partnerships supporting school facility infrastructure, advancing student achievement, success, and career development and generating local construction jobs. Among many issues, Congress is facing the approach of the beginning of the 2019 Fiscal Year on October 1. The Defense and Labor, HHS and Education appropriations bill is on the verge of passage as part of a merged bill funding for the Department of Defense. At the Department of Education, the bill includes minimal funding increases for IDEA and Title I. The combined Defense and Labor, HHS and Education Appropriations Bill Conference Report includes language directing the Comptroller General of the United States to conduct a study on the condition of the public school facilities (including charter schools) of the United States and their adequacy to support a 21st Century education. The Senate has adopted the Conference Report for a bill combining the FY 2019 Defense and Labor, Health and Human Services and Education Appropriations covering more than 60 percent of all discretionary spending for the fiscal year beginning October 1. By a vote of 93-7, the Senate approved the $855.1 billion package (H.R. 6157) that would fund the military and the Departments of Health and Human Services, Education and Labor. The conference package now goes to the House for expected adoption next week. Some Republican conservatives have threatened to oppose it, saying the nondefense spending is excessive and does not reflect Republican priorities. House leaders are not expressing concerns about House approval of the Conference Report which is expected to have broad bipartisan support. ‘Yes’ votes from Democrats supporting the Labor, HHS, Education section of the bill should offset any ‘No’ votes from Republican conservatives. This bipartisan language is a step forward in gathering data about school facility conditions to support federal school infrastructure investments supporting state and local effort to provide school facilities to support a 21st Century education. Infrastructure is expected to be a priority issue in the next Congress. 21st Century school facilities are a critical component of our national infrastructure. CSF thanks the Senate and House Labor, HHS and Education Appropriations Committee conferees for the language directing the Comptroller General to conduct a Study on the condition of public school facilities and their adequacy to support a 21st Century education. Particular thanks to Senators Reed (D-RI), Brown (D-OH) and Murkowski (R-AK) for the original Senate Labor, HHS and Education Appropriations school facility study provision. The Rebuild America’s Schools Act (H.R. 2475) sponsored by Congressman Bobby Scott (D-VA) with 115 cosponsors, and The School Building Improvement Act (S.1674) sponsored by Senators Jack Reed (D-RI) and Sherrod Brown (D-OH) with 15 co-sponsors, call for grants and bonds to finance the renovation, repair, and construction of public school infrastructure. This legislation as well as earlier federal programs providing school repair grants, tax credit Qualified Zone Academy Bonds (QZABs), Qualified School Construction Bonds (QSCBs), and Build America Bonds connect with the Administration’s focus on federal and state and local infrastructure partnerships and state and local decision making. The Senate Appropriations Committee summarized funding for elementary and secondary education program funding in the approved conference agreement on H.R. 6157, the combined Defense, Labor, HHS and Education funding bill, noting a combined increase of $299 million for major formula programs including Title I, IDEA, Student Support Grants, and Impact Aid. Overall, that is a small increase spread over major programs including Title I and IDEA. The Defense, Labor, HHS, and Education Conference Report also includes a short term FY 2019 Continuing Resolution to avoid a partial government shutdown on October 1, when the new fiscal year begins. The Continuing Resolution would extend current funding levels through December 7 for any federal agencies that do not secure FY 2019 appropriations before the current fiscal year expires. If the President signs the combined Defense, Labor, HHS, and Education bill, funding for education programs will be completed for the 2019 fiscal year. The President supports the significant $19.8 billion increase in Defense spending included in the combined bill, despite Administration concerns that the Labor, HHS and Education bill funds programs not included in the President’s budget. There is a possibility that the President may threaten to shut down the government, or part of it, if he does not get funding for a border wall. But current expectations are that the Defense, Labor, HHS and Education package to fund most of the government with a Continuing Resolution preventing a partial shutdown will pass the House and be enacted next week. Stay tuned! We will provide more information next week as the House takes up the Defense, Labor, HHS, and Education Conference Report and the as the new fiscal year approaches on October 1. Californians for School Facilities (CSF) focuses on building support for investments in school facilities and school safety. California and other states and local governments across the county are investing in school facility infrastructure advancing student achievement, success and career development and also producing local construction jobs. Unfortunately, school infrastructure needs are beyond the capacity of state and local communities. Federal financial assistance is needed to supplement state and local partnerships to renovate, repair, modernize and build schools and classrooms, promoting student success and community jobs. The Rebuild America’s Schools Act (H.R. 2475) sponsored by Congressman Bobby Scott (D-VA) with 115 co-sponsors and The School Building Improvement Act (S.1674) sponsored by Senators Jack Reed (D-RI) and Sherrod Brown (D-OH) with 15 co-sponsors call for grants and bonds to finance the renovation, repair, and construction of public school infrastructure. This legislation, as well as earlier federal programs providing school repair grants, tax credit Qualified Zone Academy Bonds, Qualified School Construction Bonds, and Build America Bonds connect with the Administration’s focus on federal and state and local infrastructure partnerships and state and local decision making. The Consolidated Appropriations Act Omnibus Appropriations Bill was passed by Congress in March to provide discretionary funding for federal government agencies for the 2018 fiscal year. The bill contains legislation and funding for all of the 12 annual Appropriations bills totaling $1.3 trillion, including $78.1 billion in funding for the Global War on Terror (GWOT)/Overseas Contingency Operations (OCO). Total base funding, excluding OCO and emergencies, is $1.2 trillion. The House Appropriations Committee bill summary included the following statement on school safety: “To help protect children and to promote safe learning environments, the bill provides more than $2.3 billion in new funding to effective mental health, training and school safety programs at the Departments of Justice, Education, and Health and Human Services.” Those funds are broadly distributed across programs at the Departments of Justice, Education, and HHS. The grants provide $1.1 billion, $700 million above FY 17 level. Grants providing flexible funds to states and school districts, including to expand school-based mental health services and supports; for bullying prevention; and for professional development for personnel in crisis management and school-based violence prevention strategies with an additional $186 million, an increase of nearly $35 million, for other safe schools programs. Congress is now working on the FY 2019 Appropriations bills. Below is information on the FY 2019 Labor, HHS and Education and Commerce, Justice and Science Appropriations bills with information about funding on school safety as well as other education programs such as Title I and IDEA. $47 million for school safety national activities – with this additional funding, the bill now provides $90 million, the same as the FY 2019 level. The bill now provides $47 million more than the President’s request and $5 million less the Senate bill. $13 million for Child Care Means Parents in School – with this additional higher education funding, the bill now provides $50 million, the same as the FY 2018 level and the Senate bill. $10 million for HBCU financing – for deferment of loans to eligible private Historically Black Colleges and Universities which is $5 million above the FY 2018 level. $3 million for American history and civics national activities – with this additional funding, the bill now provides $4.7 million, $3 million above the FY 18 level. Perkins Loans – the amendment adds language designed to let universities continue to service the Perkins Loans. The FY 2019 Labor, HHS, and Education funding bill freezes Title I at the FY 2018 level. IDEA receives a very small increase of $50 million. The manager’s amendment restores cuts of $47 million to school safety national activities, $5 million of school safety funding is reserved for Project SERV. Title II and Title IV programs are funded over the President’s call for elimination. The House Subcommittee bill includes language prohibiting the Department of Education from reorganizing or cutting its Budget Service. The full Senate Appropriations Committee on June 29 approved the Labor, HHS and Education Appropriations bill. IDEA and Title I received modest $125 million increases, $95 million for School Safety. The full Senate Labor, HHS and Education Appropriations approved the Labor, HHS, and Education bill subcommittee bill on a 30-1 vote. The $179.3 billion Labor, HHS, Education bill, about $2 billion bigger than the House version, would provide $90.1 billion in discretionary funding for the Department of Health and Human Services, $71.4 billion for the Education Department and $12.1 billion for the Labor Department. Most Department of Education programs are frozen at current levels – the bill freezes funding for most programs at the current level, with a few programs receiving increases. The IDEA state grant and Title I programs are increased by $125 million. The Senate’s bill provides $95 million for school safety grants, an increase of $5 million from the current fiscal year. The bill does not include the $1 billion the President’s budget requests for a new Opportunity Grant Program. Title I State Grants – total of $15.9 billion, up $125 million. The President’s FY 2019 budget provides $15.5 billion. Title IV-A (Student Support and Academic Enrichment Grants) – total of $1.2 billion, up $125 million. The President’s budget eliminates this program. Special Education State Grants – a total of $13.32 billion. Part B state grants are at $12.4 billion, up $125 million. The President’s budget provides $12.8 billion. Charter Schools – total of $445 million, up $45 million, but $55 million below the President’s budget. Impact Aid – total of $1.4 billion, up $25 million over the FY 2018 level. The President’s budget cuts funding to $1.3 billion. Adult Education – a total of $656 million, up $25 million. The President’s budget cuts funding to $50 million. Education Innovation and Research – a total of $135 million, up $15 million, but $55 million below President’s budget. Head Start (in HHS) – total of $10.1 billion, up $250 million. The President’s budget provides $9.3 billion. The bipartisan Senate Labor, HHS and Education bill was approved in a full Senate Appropriations Committee mark-up considering the Labor, HHS and Education bill and the Defense Appropriations bills. The Senate Appropriations Committee is expected to package the Labor, HHS and Education and Defense Appropriations bills together as a way to gain conservative votes to support for the Labor, HHS and Education bill. The House Commerce, Justice and Science FY 2019 Appropriations bill increases resources for multiple programs that reduce violent and gun crime, including fully funding the FBI’s National Instant Criminal Background Check System; increasing funds for U.S. Attorneys and the Marshals Service to address violent crime; provides $75 million in grants to states to improve their records used in background checks; $50 million in grants to reduce gang and gun violence; $100 million as authorized by the STOP School Violence Act; $100 million for youth mentoring programs; and $20 million for police active shooter training. The Senate Appropriations Committee approved FY 2019 Commerce, Justice and Science with full funding for the Department of Justice STOP School Violence Act. The STOP School Violence Act, passed in the FY2018 Omnibus, is fully funded at its authorized level of $100 million. The Senate HELP Committee agreed unanimously, by voice vote, to favorably pass and report a bipartisan bill reauthorizing the Carl D. Perkins Career and Technical Education Act. The HELP Committee bill, the Strengthening Career and Technical Education for the 21st Century Act, would reauthorize the Perkins program last reauthorized by Congress in 2006. The Committee bill allows states to establish certain goals for CTE programs without approval by the Secretary of Education. The bill does require “meaningful progress” to be made to meet goals on key indicators. The bill also clarifies that federal CTE funds can be used in middle schools. The House passed the bipartisan Strengthening Career and Technical Education for the 21st Century Act, H. R. 2353, CTE reauthorization in 2017. If the Senate approves the HELP Committee Strengthening Career and Technical Education for the 21st Century Act, the Senate and House will meet in conference to reconcile the differences in the two versions of the CTE reauthorization. The House Oversight Committee held a hearing on the Administration’s proposal to merge the Departments of Education and Labor. The Administration's reorganization plan would create a new agency called the “Department of Education and the Workforce,” or DEW. The proposal is part of a 132-page document outlining a broad restructuring of the federal government. The proposed merger is part of a plan announced by Mick Mulvaney, Director of the Office of Management and Budget. Consolidation of the Education and Labor Departments would create four sub-agencies in the new Department, including the American Workforce and Higher Education Administration. This agency would, according to the proposal, “Bring together current [Department of Labor] workforce development programs and [Department of Education] vocational education, rehabilitation, and higher education programs,” eliminating some redundancy across multiple agencies. The Administration proposal would also create sub-agencies devoted to K-12 education, research/evaluation/administration, and enforcement. The latter would enforce both worker protections and civil rights laws that protect the nation's students. Congressional action is necessary: the merger of The Departments of Education and Labor needs Congressional approval. House Education and the Workforce Committee Chairwoman Virginia Foxx (R-NC) expressed enthusiasm for merging the Education and Labor Departments. The Ranking Democrat on the House Committee, Representative Bobby Scott (D-VA), said “The Department of Labor is no more equipped to oversee elementary education policy than the Department of Education is prepared to enforce standards for coal mine safety. The logic behind this proposal is painfully thin.” Senate HELP Committee Chair Senator Lamar Alexander (R-TN) said “It’s always wise to look for greater efficiency in how our government operates, and I will study the proposal carefully.” Actual merger of Education and Labor Departments would need legislation passed by the House and Senate. Thank you for supporting CSF and CASH efforts for federal investments in California’s students and school facilities. Californians for School Facilities had another successful lobbying trip to Washington, D.C. last week. With the guidance of our Washington D.C. lobbyist Bob Canavan, CSF Chair Josh Jorn (Monterey County Office of Education), and CSF Vice-Chair John Dominguez, we met with United States Senate Finance Committee, our State Senators’ offices, as well as many other Senate and House of Representative offices. Click here for information from the U.S. Department of Agriculture (USDA) that we received during our meeting with that Department’s staff. Below is a meeting follow-up memo from Bob Canavan. CSF will have our Fall Lobbying trip to Washington, D.C. in October 2018. Join us to lobby for more school facility financing options. CSF members had successful meetings on the Hill, carrying the message that schools are an important part of our national infrastructure. The USDA meeting could lead to some rural development possibilities for school infrastructure both on the grant and loan side. Click here for a list of Telecom and Broadband programs. RUS is accepting applications for Fiscal Year (FY) 2018 for the Distance Learning and Telemedicine (DLT) Grant Program (PDF) through June 4, 2018. Distance learning projects which propose to provide access to Science, Technology, Engineering and Math (STEM) courses. There is a lot more at USDA Rural Development, and CSF should look at Rural Energy Programs. CSF definitely should reach out and thank the UDSA staff who met with us and also open a dialogue with the California USDA office. Click here for the USDA Rural Development California State and regional offices. Kim Dolbow Vann is the State Director of the United States Department of Agriculture (USDA) Rural Development (RD) in California. Appointed by the Trump Administration in November 2017, Dolbow Vann brings more than 20 years of experience and dedication to economic development and the improvement of rural life. Most recently, Dolbow Vann spent 11 years as a Colusa County Supervisor representing the first district. During her tenure she served as the Chair of Rural Counties Representatives of California, and led the charge on all federal and state issues that affect rural counties. In addition, for the past two years Dolbow Vann served as the Chair of Sites Reservoir Joint Powers Authority, leading the new public private partnership in creating an above-ground water storage facility in rural Colusa County. Dolbow Vann hails from a 6th generation farming family and is a lifelong California resident. The current FY 2018 Continuing Resolution expired on Friday, March 23. Congress raced to complete an Omnibus Appropriations bill (H.R. 1625) before the Friday deadline. Both the House and Senate passed H.R. 1625 Thursday, March 22. The House and Senate approved, and the President signed, the FY 2018 Omnibus Appropriations bill including final FY 2018 funding for education and other agencies. This Omnibus Appropriations bill is using increased defense and non-defense discretionary funding caps for FY 2018 and 2019. The non-defense discretionary caps are raised by $63 billion. Domestic programs including education in the ED, Labor and HHS section of the Omnibus bill are receiving additional funding under the higher caps without the prospect of Budget Control Act sequester cuts. The Omnibus bill also provided additional infrastructure funding, but not in the directions called for in President Trump's proposals. The infrastructure road, airport, bridge and waterway investments in the Omnibus bill follow traditional Committee patterns. The bill (H.R. 1625) includes more funding for roads and airports – both Administration priorities – Congress did not follow details of the Administration's infrastructure initiative. Cut rail and transit spending to pay for the infrastructure initiative. Require states and localities to provide more money to projects in order to qualify for federal spending. Organize spending around three new grant programs. Expand the use of tolling on interstate highways. One area in the Omnibus that did coincide with the Administration’s initiative is in rural broadband. The Omnibus bill included $600 million in appropriated funding for a new pilot grant and loan combination program, administered by the USDA, to provide broadband to under-served rural and tribal areas. That is well below the $50 billion called for the Administration plan but is it a start. Congress will still consider the Administration’s Infrastructure Initiative. The national infrastructure needs demand more than one year of appropriations. Senate Commerce, Science and Transportation Chairman John Thune, R-S.D., called the Omnibus a "down payment" on the Administration plan. Californians for School Facilities and school facility advocates such as Rebuild America’s Schools continue to work with Congressional Committees and the Administration for school facility infrastructure as part of the long-term national infrastructure investment. Advance federal investments in national and California’s school infrastructure. Invest in school infrastructure with state and local partners. Assist with grants, tax credit bonds, low-interest loans, infrastructure banks. Help renovate, repair, modernize and build technologically advanced, energy efficient, modern schools and classrooms. Advance student achievement, success and 21st Century workforce preparation. Congress also did not follow the Administration’s FY 2018 budget proposals for education. Congress maintained or increased funding for many education programs eliminated in the President’s 2018 budget. Here are some of the details from the Labor, HHS and Education section of the bill. The Omnibus Appropriations bill operating with raised 2018 budget caps funding ED at a total of $70.9 billion a $3.9 billion increase. Title I state grants increased $300 million, to $15.8 billion. IDEA state grants increased $275 million, to $12.3 billion. Impact Aid increased $86 million, to $1.4 billion. Career and Technical Education state grants increased $75 million, to $1.2 billion. Charter Schools increased $58 million, to $400 million. Pell Grants the maximum increased by $175, to a total of $6,095. Work Study increased $140 million, to $1.1 billion. TRIO programs increased $60 million, to $1.0 billion. Head Start increased $610 million, to $9.9 billion. Child Care and Development Block Grant increased $2.4 billion, to $5.2 billion. Student Support and Academic Enrichment grants increased $700 million, to $1.1 billion – can be used for school counseling and mental health services, technology investments and STEM education. After-School Programs increased $20 million, to $1.2 billion. Teachers' Professional Development and class-size reduction maintained at $2.1 billion in grants. Congress did not fund Secretary DeVos’ proposed FOCUS Title I voucher grant. The Omnibus bill also extends and funds the Secure Rural Schools (SRS) program administered in the Departments of Agriculture and Interior for FY 2017 and FY 2018. 38 Counties in California receive SRS funds. The Omnibus bill also includes The STOP School Violence Act, which repurposes a Justice Department program reducing school violence. The bill, H.R. 4909, funds training and other initiatives intended to enhance school safety for $75 million annually also paying for physical improvements such as metal detectors, stronger locks and emergency notification technologies. $47 million is provided to programs within the Education Department and the Health and Human Services Department that address youth mental health, as well as social and emotional learning in schools. The FY 2018 Omnibus bill finalizes funding for FY 2018. For Most Ed programs i.e. Title I, IDEA, Career and Technical education which are forward funded the FY 2018 funds will be for school year 2018-2019. The Federal fiscal year 2018 began October 1, 2017. The setting of final FY 2018 funding levels in March 2018 is very late. Based on the FY 2018 increases to Title I and IDEA, California should receive approximately $30 million more in Title I and $27.5 million more in IDEA funds. Given the services to California students that is a small increase. The higher budget caps for FY 2018 and FY 2019 should mean that FY 2018 sequestration cuts are not likely. Washington, DC - Today US Senators Orrin Hatch (R-UT), Amy Klobuchar (D-MN), Marco Rubio (R-FL), Chris Murphy (D-CT), Mitch McConnell (R-KY), Richard Blumenthal (D-CT), Chuck Grassley (R-IA), Bill Nelson (D-FL), John Cornyn (R-TX), Tom Udall (D-NM), Dean Heller (R-NV), Debbie Stabenow (D-MI), Bill Cassidy (R-LA), Heidi Heitkamp (D-ND), Shelley Moore Capito (R-WV), Tammy Baldwin (D-WI), Lisa Murkowski (R-AK), Sherrod Brown (D-OH), Susan Collins (R-ME), Doug Jones (D-AL), Joni Ernst (R-IA), Todd Young (R-IN), Steve Daines (R-MT), Gary Peters (D-MI), and Angus King (I-ME) introduced the Students, Teachers, and Officers Preventing (STOP) School Violence Act of 2018, legislation that funds school security improvements and invests in early intervention and prevention programs to stop school violence before it happens. The legislation authorizes the Department of Justice to make grants for the purposes of training students, school personnel, and law enforcement to identify signs of violence and intervene to prevent people from hurting themselves or others. In addition to prevention efforts, the legislation funds evidence-based technology and equipment to improve school security and prevent school violence. This includes the development of anonymous reporting systems, and common sense security infrastructure improvements. The legislation also provides funds for school threat assessment and crisis intervention teams to help schools intake and triage threats before tragedy strikes. Linked below is a press release from the [Re]Build America's School Infrastructure Coalition (BASIC), regarding launching the Coalition on federal funds. "WASHINGTON, DC (Jan. 29, 2018) - A group of nonpartisan organizations announced today the formation of a broad-based coalition to support fair federal funding of public school facilities as part of comprehensive infrastructure legislation..."
Welcome to the second session of the 115th Congress and the January 30th State of the Union. The President is expected to discuss infrastructure in the January 30th State of the Union Address. The Administration’s broad infrastructure plan appears to call for a $1 trillion infrastructure program supported by a $200 billion federal investment. The difference would be made up through state and local programs with support for private development. The “Infrastructure Incentives Initiative” would use 50 percent of the unstated total funding amount to encourage “state, local and private investment in core infrastructure by providing incentives in the form of grants.” Eligible projects include surface transportation, airports, passenger rail, drinking water systems, hydropower projects, and a range of other types. Also included is a Rural Infrastructure Program, which would shift 25 percent of funds to transportation, water, energy and broadband projects serving “far-flung” communities that need federal subsidies to get built. The President and Congress should invest in school infrastructure to advance student success and achievement and to generate local jobs. On Capitol Hill, Congressman Bobby Scott (D-VA) with 108 House co-sponsors and Senators Jack Reed (D-RI) and Sherrod Brown (D-OH) with 14 Senate co-sponsors are sponsoring comprehensive bills investing $ 100 billion in school infrastructure: The Rebuild America’s Schools Act (H.R. 2475) and The School Building Improvement Act (S. 1674) authorize grants and bonds to finance the renovation, repair, and construction of public school infrastructure. Californians for School Facilities thanks these House Members and Senators and joins in supporting investing in school facilities, a critical part of our nation’s infrastructure. As we all know we ended last year very concerned that the tax bill “terminated” tax credit bonds, including QZABs. QZABs, QSCBs and other tax credit bonds assisted states and local school districts finance the renovation, repair, and modernization of thousands of schools and classrooms in every state since authorized in 1997. As the tax conference report was passing, Senator Hatch and 5 Republican colleagues from the Finance Committee introduced the Tax Extender Act of 2017 – a tax extenders bill which includes a two-year extension of QZABs. This is a positive development. Senator Hatch hoped to, but was unable to, put the extenders bill on the last Continuing Resolution. Senator Hatch is interested in early action on tax extenders this session. The Tax Extenders bill may open the door for us to extend and revive QZABs. SEC. 204. EXTENSION OF QUALIFIED ZONE ACADEMY BONDS. (a) In General.—Section 54E(c)(1) is amended by striking “and 2016” and inserting “2016, and 2017”. (b) Effective Date.—The amendment made by this section shall apply to obligations issued after December 31, 2016. CSF will work with the Senate Finance Committee and the House Ways and Means Committee for action on Senator Hatch’s Tax Extenders bill and the extension of the QZAB program as we all wait for action on larger infrastructure legislation. Californians for School Facilities is working for modernizing California’s nation’s school facilities and infrastructure to support the Scott and Reed Brown bills in Congress to invest in our nations school infrastructure. Thanks to all who support Californians for School Facilities and the Coalition for Adequate School Housing (CASH) work to build, renovate, repair and modernize California’s schools and classrooms to advance student achievement and success. The Education Week article excerpt linked below, by Andrew Ujifusa, shows that there is still support for federal government assistance to help improve school facilities. The Tax Bill Conference Report takes the House position to terminate tax credit bonds such as QZABs, QSCBs, QCEBs, and advance funding. The Conference Report provided no explanation or rationale for the House provision to terminate the cost effective and efficient QZAB and tax credit bond programs and advance bond funding. QZABs, QSCBs and other tax credit bonds have helped states and local school districts finance the renovation, repair, and modernization of thousands of schools and classrooms in every state since authorized in 1997. The final tax bill (HR 1) includes Senate language on private activity bonds, which are issued by public-sector authorities to give private entities access to tax-exempt financing for projects with a public benefit. Buyers of the private activity bonds get a tax exemption on the interest. The tax bill sets a limit of $10,000 for state and local taxes and caps mortgage tax deductions at $750,000, which will affect home owners and state and local governments. These provisions will have an impact in California as a state with higher state taxes and real estate values. The bill also includes savings account tax credits to finance private school tuition and home schooling. The tax cut bill will impact California students, communities and schools. The bill is projected to add $ 1.4 trillion to the national deficit over ten years, which will lead to serious budget implications for domestic program funding and entitlements. The House and Senate are scheduled to vote this week on the tax bill. California has 53 of the 435 Members of the House of Representatives. All California Democrat members voted “No” when H.R. 1 was approved by the House. Three California Republican members voted “No”: Congressmen McClintock, Issa and Rohrabacher. Senators Feinstein and Harris voted “No” when the Senate passed the tax bill. The negative impact of the tax bill warrants a “No” vote by California members. Californians for School Facilities continues to work to build and modernize California’s and our nation’s school facilities and infrastructure. Thanks to all who support Californians for School Facilities and the Coalition for Adequate School Housing efforts to build, renovate, and modernize California’s schools and classrooms to advance California’s student achievement and success. House Tax Plan - House Republican leaders and Ways and Means Committee Chair Brady released a tax cut plan that includes deep tax cuts for business, modest savings for the middle class, and a nearly $1.5 trillion increase in annual deficits over the next ten years. Repeal of tax credit bonds, including QZABs, are among the many tax deductions and credits eliminated to help finance the extensive tax cuts. SEC. 3603. REPEAL OF TAX CREDIT BONDS - The tax reform package calls for the repeal of tax credit bonds effective December 31, 2017. This would apply to Qualified Zone Academy Bonds (QZABs), Qualified School Construction Bonds (QSCBs), Qualified Energy Conservation Bonds (QECBs), and new Clean Renewable Energy Bonds (New CREBs). QZABs, QSCBs, QECBC - Cost effective QZABs and QSCBs have been used by school districts in every state to renovate, repair, build and modernize thousands of schools and classrooms. QECBSs and CREBs assist efficient and cost-effective energy services to school facilities. Californians for School Facilities will continue to work for the extension and improvement of cost-effective tax credit bond programs which have been used by school districts across California to renovate, repair and modernize schools and classrooms. House Tax Plan - H.R. 1 is 429 pages of legislative text revising the tax code. Republicans leaders want to pass the plan on party line votes by Christmas. The House Ways and Means Committee begins mark-up on Monday, November 6, scheduled to last 4 days. It would be remarkable to complete a complex tax code rewrite in that short timeframe. Corporate Tax Cuts and Deficit - The costly tax cut plan proposes to slash the corporate income tax rate from 35 percent to 20 percent. The immediate and permanent reduction would cost about $1.46 trillion over a decade. Republican leaders and the President argue this will trigger robust economic growth, luring companies to invest domestically to bring profits home from overseas. Republicans leaders said most Americans would benefit from lower rates, a doubling of the standard deduction, and increase in the child tax credit. A family of four earning $59,000 a year would save $1,182 in taxes, according to GOP talking points. Many Deductions Eliminated - Democrats argue middle-class taxpayers will be hit with a tax increase because multiple deductions and credits are eliminated or reduced, including: elimination of deduction for state and local income and sales taxes, repeal of deductions for medical expenses and student loan interest payments, the repeal of personal exemptions and alimony payments. Mortgage deductions are limited to the first $500,000 in mortgage debt, down from the current limit of $1 million. Deductions for second homes are eliminated. Personal exemptions would be repealed. Workplace Flexible Spending Accounts for dependent care, including children under the age of 13, would be repealed. Education tax credits would be consolidated into a unified American Opportunity Tax Credit; deductions for student loan interest, tuition and related expenses and other education deductions would be repealed. 'SALT' deductions – state and local income and sales tax deductions would be eliminated, and property tax deductions capped at $10,000 per year. Capital gains tax on home sales capped. Charitable deductions would be reserved, but with changes including repeal of special rule allowing 80 percent of the value of donated tickets for athletic events. Eliminates miscellaneous deductions, including for gambling losses, alimony payments, medical expenses, tax preparation fees, and moving expenses. Retirement savings – existing retirement savings incentives, such as pre-tax 401(k) contribution limits, would be maintained. The ability to re-characterize Roth IRA conversions to avoid the tax hit would be repealed. Alternative Minimum Tax would be repealed. Estate tax would be eliminated after six years, but the existing $5.6 million exemption (adjusted annually for inflation) per spouse is doubled immediately with the current 40 percent rate of tax unchanged through 2022. Gift tax parameters would not change but tax rate would be reduced to 35 percent. Opposition Criticizing the Plan - "They're not doing tax reform," said Senate Minority Leader Charles E. Schumer (D-NY), "They're doing tax giveaways to the wealthy and the powerful." Vocal opposition is growing from the small business and real estate sectors. QZABs - Californians for School Facilities is making the case for QZABs and tax credit bonds as the Ways and Means Committee begins its mark-up and as the Senate Finance Committee prepares for Senate consideration of the tax cut bill. School Infrastructure - Tax cut legislation is the dominant legislation now. Congress also must complete work on the expiring CR and FY 2018 appropriations bill in December. Californians for School Facilities will work for the extension and improvement of the QZAB program as tax cuts. CSF Fall Trip - CSF leaders met in Washington with the California delegation and Committee Staff of Congressman Bobby Scott (D-VA) and Senators Jack Reed (D-RI) and Sherrod Brown (D-OH), the sponsors of comprehensive school infrastructure bills: The Rebuild America’s Schools Act (H.R. 2475) and The School Building Improvement Act (S. 1674), calling for grants and tax credit bonds to finance the renovation, repair, and construction of public school infrastructure. These bills make a strong case for cost effective investing in school facilities as a critical part of our nation’s infrastructure. Thanks to all who support the work of CSF and CASH to build and modernize California’s schools and classrooms. As part of the ongoing tax reform process, the Republican Leadership in the House of Representatives released its draft tax bill. Below is a link to a section-by-section description of the bill. Of particular note for our CSF membership is that the bill would eliminate tax credit bonds (see section 3603) after 2017. This elimination likely includes Qualified Zone Academy Bonds (QZABs) and other tax credit bonds used by our CSF members. The draft tax bill also seeks to eliminate advance refundings. The House Ways and Means Committee is expected to mark up the bill beginning next Monday, November 6. October 2017 - Washington, D.C.
On October 25-27, 2017, Californians for School Facilities (CSF) will be holding a Fall lobbying event in Washington, D.C. to urge Congress and the Administration to pass infrastructure funding legislation – including funding for public school infrastructure. Join us and make sure your issues are heard! The stars look to be aligning with a possible tax cut and infrastructure funding proposal. Part of the tax reform discussions is lowering the corporate tax rate and providing incentives to bring back more than $2 trillion that United States firms have in overseas accounts. CSF believes there will be a strong effort to take some of the tax revenue from the returned $2 trillion for tax cuts and some for infrastructure. We believe that the real discussions will be in October because September will be consumed in the Senate with the review and approval of the President’s appointees to executive branch positions and judgeships, while both the House and Senate will be working on appropriations bills and raising the debt ceiling – both of which need to be done by the end of September. To accomplish these goals, the House and Senate Republican leadership probably will need votes from some Democrats. The Democratic leadership wants infrastructure funding – including schools. They all want a victory they can claim before the 2018 mid-term elections. The stars could be moving into alignment for a limited victory for all parties. Our Washington, D.C. Lobbyist Bob Canavan will target appointments with the decision makers. CSF believes this will include the House and Senate fiscal committees, possibly Executive Branch staff, as well as leaders in the California Congressional Delegation. California Fires - The East Coast is shocked by news reports of the devastating fires in Sonoma, Napa, Placer, Orange and other California counties. Fires have been burning all summer and destroying hundreds of thousands of acres in Modoc, Siskiyou, Plumas and other California counties as well as in Washington, Oregon, Alaska, Montana, Utah and South Dakota. There is more national attention now because the current fires are causing fatalities, destroying thousands of homes and disrupting communities. Schools and hospitals are damaged. Undamaged school facilities are shelters providing food services to residents who have lost their homes. Schools Facilities as Disaster Relief Centers - This has been a frequent message from CSF in Washington meetings with members of Congress, staff, and Administration officials while making the case for federal support for school facilities. CSF always explains the essential community service role school facilities play during state and local disasters. This week we graphically see school facilities providing much needed disaster assistance in the tragic Sonoma and Napa County fires. Texas, Florida Disaster Relief, Continuing Resolution, and Debt Ceiling (H.R. 601) - In September the Administration proposed, and the House approved, a $7.8 billion disaster aid package as a first step in federal disaster aid assistance with Texas and Florida Governors, estimating the disaster needs in $150-180 billion range. After the House passed the initial hurricane aid package, the President unexpectedly negotiated with Congressional Democratic leaders. The result was Senate passage of a larger bill containing more Hurricane Aid, a Continuing Resolution (CR) and an extension of the nation’s debt ceiling. The Senate voted 80-17 to pass $15.25 billion in emergency spending for hurricane relief as well as a debt limit suspension and a short-term CR. H.R. 601 then headed back to the House, where it passed on a 316-90 vote. All 90 NO votes came from Republican members. H.R. 601 - The CR and debt ceiling extension last through December 8. The short-term 3 month FY 2018 CR continues funding for education programs such as Title I and IDEA at current 2017 funding levels. The initial Disaster Aid package included $7.4 billion for the Federal Emergency Management Agency’s disaster relief fund, $7.4 billion for Community Development Block Grants and $450 million for the Small Business Administration’s disaster loan program. Disaster Aid II - This week the House will to take up another disaster aid package to provide additional aid for Texas, Florida, Puerto Rico and the Virgin Islands. The $36.5 billion measure adds about $7.2 billion to the Administration’s request. The package provides $16 billion in flood insurance debt relief and $18.67 billion to a disaster relief fund operated by FEMA; $1.27 billion in food aid for Puerto Rico; and $576.5 million to help combat wildfires in California and other western states. It is billions of dollars below additional requests called for by lawmakers from hurricane and disaster affected states and territories. Some of those requests could be added when the bill moves to the Senate next week. CSF will be in Washington later this month working with the California delegation, the Senate Finance Committee, the House Ways and Means Committee, Members of the House and Senate and other Committees as Congress undertakes tax reform and considers infrastructure. CSF will continue to carry the message that school facilities play critical roles in disaster relief to Congress and the Administration as they assist states and damaged communities recover and resume local education programs and services for students in safe and well-functioning schools as quickly as possible. Tax Reform and FY 2018 Budget Resolution - The Administration and Congress are eager to start legislative work on tax reform. Congressional talks about tax reform will become more serious after Congress adopts a FY 2018 Budget Resolution with reconciliation instructions. Reconciliation provisions are necessary to open the door for passage of tax reform in the Senate with a simple 51 vote majority. Congress is finally getting close to completing work on a FY 2018 Budget Resolution with the House and Senate nearing completion on separate Resolutions. Budget Act Cap - The short-term Continuing Resolution moves final FY 2018 funding decisions to December. Congress and the Administration need a bipartisan agreement to increase FY 2018 budget caps for defense and non-defense domestic programs to pass funding bills including Defense and Labor, Health and Human Services, and Education. Bipartisan budget negotiations will have to happen in December to address FY 2018 budget caps and FY 2018 funding including education, to extend the debt ceiling and to avoid a government shutdown. House FY 2018 Budget Resolution - The House Budget Committee passed a Budget Resolution (H. Con. Res. 71) that violates current budget law caps on defense spending by $72.5 billion. The House approved H. Con. Res. 71, which lays the budgetary ground work with reconciliation instructions for tax reform. The proposed House Budget Resolution would require Congress to cut at least $203 billion from entitlement programs over 10 years. Senate Budget Resolution - The Senate Budget Committee adopted a FY 2018 Budget Resolution with a one vote margin making room for tax reform by authorizing an increase of $1.5 trillion in debt over ten years. The Administration endorsed the proposed Senate budget plan which is said to balance the budget in 10 years, producing a relatively small surplus of $197 billion in fiscal 2027. The plan includes optimistic revenue projections and undefined spending cuts expected to produce trillion dollar savings assuming entitlement program cuts of almost $4.3 trillion with another $534 billion cuts from discretionary programs over 10 years. An analysis by the Congressional Budget Office projects that under the Senate plan the entire federal budget would actually show a deficit in 2027 of $424 billion - even after accounting for economic growth. The Senate Budget Resolution does include reconciliation provisions that would increase annual deficits by $1.5 trillion over the decade to accommodate tax cuts. The full Senate is expected to vote on the FY 2018 Budget Resolution the week of October 16th. The House and Senate will have to resolve the differences between the different Budget Resolutions. Despite conservative objections the Senate version is expected to prevail even though it projects an increase of $1.5 billion in the national debt to pay for a tax cut package over ten years. Administration Tax Reform Proposal - The Administration finally released its “tax reform” package which focuses primarily on tax cuts. The President’s plan proposes to reduce the number of tax rates while doubling the standard deduction for most Americans; increases the child tax credit by an unspecified amount; eliminates the alternative minimum tax; and gets rid of many itemized deductions, save for those for mortgage interest and charitable giving and some others. Critics argue the plan gives greater tax relief to the top taxpayers. On the business side, the plan calls for cutting the top tax rate to 20 percent from 35 percent. The plan would also bring the top “pass-through” business rate down to 25 percent from its current level of 39.6 percent. That is the top rate that sole proprietorships, partnerships, and S-corporations (meaning many small businesses) pay. It would also encourage businesses to bring back profits stashed overseas with a special rate cut. Economic Growth - The President argues that the plan will be paid for by economic growth. The United States has been growing at about 2 percent a year lately, below the historic norm. The President maintains the tax plan plan will produce growth of 3 percent – or more. Many economists project modest growth. Estimates range from 2.1 percent to 2.25 percent. The Committee for a Responsible Federal Budget estimated that the nine-page framework would equate to a $2.2 trillion tax cut, with $5.8 trillion lost to lower rates and other changes, and another $3.6 trillion recouped by eliminating deductions. Offsetting/Paying for Tax Cuts - The proponents of the President’s tax cuts plan to offset the massive tax rate cuts for individuals and businesses by eliminating scores of deductions and credits across the tax code. Major ideas that have floated as revenue raisers have run into resistance, such as a House GOP border adjustment proposal to tax imports and exempt exports which would have raised an estimated $1.2 trillion over 10 years. That proposal has lost support. A proposal to eliminate the deduction for state and local property taxes is meeting strong resistance, as is a proposal to repeal the corporate interest expense deduction. The tax committees might consider keeping those deductions around in limited form. Tax Extenders - Many tax extender provisions including, Qualified Zone Academy Bonds (QZABs) and energy tax credit bonds will be in play for extension or potential elimination to offset costs as the tax reform packages are assembled. Tax Reform Timeframe - The Administration will push hard for passage of its tax reform/cut proposal between now and December. Congressional Republicans share the Administration’s objective to cut taxes. The House Ways and Means Committee and the Senate Finance Committee will have to balance the goals of tax cuts/reform with what changes can be made to the tax code at what cost in revenues and resulting deficits. A critical question is what will be the greater priority cutting taxes or limiting the deficit. 1. Make targeted federal investments. 2. Encourage self-help. Many States, tribes, and localities have stopped waiting for Washington to come to the rescue and have raised their own dedicated revenues for infrastructure. 3. Align infrastructure investment with entities best suited to provide sustained and efficient investment. The Federal Government provides services that non-Federal entities, including the private sector, could deliver more efficiently. 4. Leverage the private sector. The private sector can provide valuable benefits for the delivery of infrastructure, through better procurement methods, market discipline, and a long-term focus on maintaining assets. The Administration has not provided detailed specifics for the President’s $1 trillion infrastructure package. The White House spending proposal would, “provide an infrastructure plan to support $1 trillion in private/public infrastructure investment,” including injecting $200 billion into transportation projects over 10 years, with the goal of creating $1 trillion worth of overall investment. Overall, the Administration plans to reach its $1 trillion target through a mix of new federal funding, incentives for private sector investment and expedited projects. The Administration plan also aims to speed up project delivery by eliminating or reforming regulations that can slow down projects. School Facility Needs Nationwide - The American Society of Civil Engineers estimates the need for $4.6 trillion in infrastructure investments over 10 years, with more than half of that sum currently unfunded. The 2013 Center for Green Schools Report State of Our Schools - The Report estimates that schools are facing $271 billion in deferred maintenance costs and that the cost to bring schools into good repair and to address modernization needs is $542 billion over the next ten years. These numbers are clearly beyond the capacity of state and local community resources. California School Facility Needs - Estimates are that $40 billion is required to build California’s new schools and to modernize old schools. Infrastructure Investment Alternatives - The Congressional Progressive Caucus introduced a resolution outlining the progressive alternative plan calling for investing $2 trillion over ten years, which it estimates would employ 2.5 million Americans in the first year to rebuild transportation, water and energy systems while also focusing on unsafe schools, homes and public buildings. School Infrastructure Legislation - CSF appreciates the leadership of Congressman Bobby Scott (D-VA) and Senators Jack Reed (D-RI) and Sherrod Brown (D-OH) in introducing comprehensive bills: The Rebuild America’s Schools Act (H.R. 2475) and The School Building Improvement Act (S. 1674) call for grants and bonds to finance the renovation, repair, and construction of public school infrastructure. Leverage federal, state, and local resources for an overall investment of $107 billion, creating over 1.9 million jobs based on an Economic Policy Institute analysis that each $1 billion spent on construction creates 17,785 jobs. Provides competitive grants for school repair, renovation, and construction. These grants focus assistance on states and communities with the greatest financial need, encourage green construction practices, establish equitable access for public charter schools, contain state matching criteria, and outline permissible criteria for spending. Projects also require the use of American-made iron, steel, and manufactured products. Provides $30 billion for Qualified School Infrastructure Bonds (QSIBs), $10 billion each for FY 2018 through FY 2020. Expands Qualified Zone Academy Bonds (QZAB) for use on school construction. Requires the GAO to report on projects carried out under the within two years after enactment with periodic updates. Creates a comprehensive study of the physical condition of public schools at least once every five years. CSF October Washington Trip - CSF members will be traveling to Washington on October 25-27 to meet with the California Congressional delegation, Congressional committees and staff to make the case for investing in school facilities as part of our nation’s infrastructure to advance student achievement and success. CSF will be working with the Senate Finance Committee, the House Ways and Means Committee, Senators Reed, Brown, Congressman Scott and other Committees as Congress undertakes tax reform and considers infrastructure. Thanks to all who support the work of CASH and CSF to build and modernize California’s schools and classrooms. Congress is back this week. Members of Congress began the week facing the need to increase the national debt ceiling, no Budget Resolution, the beginning of Fiscal Year 2018 on October 1 without a single completed FY 2018 appropriations bill, the pressing need to address disaster relief for Texas and Louisiana, another Hurricane heading toward Florida, and calls for tax reform. The Administration further complicated the Congressional agenda by rescinding the Deferred Action for Childhood Arrivals (DACA) program affecting many young immigrants, unless Congress acts within six months. School facilities and school programs in Texas and Louisiana are greatly affected by the aftermath of Hurricane Harvey. School openings are delayed. Damages to school buildings and facilities are still being assessed in Houston, Galveston, Beaumont, Port Arthur and other Texas and Louisiana communities. The Administration proposed, and the House quickly approved, a $7.8 billion disaster aid package as a first step in federal disaster aid assistance. Texas Governor Abbott estimated the total disaster could be in the $150-180 billion range. After the House passed the initial hurricane aid package, unexpected negotiations at the White House produced an agreement between President Trump and Congressional Democratic leaders leading to Senate passage of a larger bill containing more hurricane aid, a Continuing Resolution (CR) and an extension of the nation’s debt ceiling. The Senate voted 80-17 on Thursday, September 7 to pass $15.25 billion in emergency spending for hurricane relief as well as a debt limit suspension and a short term CR that both last through December 8. The legislative package (HR 601) then headed back to the House, where it was expected to pass despite opposition from the Republican Study Committee’s steering committee. The package (H.R. 601) includes $7.4 billion for the Federal Emergency Management Agency’s disaster relief fund, $7.4 billion for Community Development Block Grants and $450 million for the Small Business Administration’s disaster loan program. Senators voting NO on the relief package were: Sens. Bob Corker, R-TN; Steve Daines, R-MT; Michael B. Enzi, R-WY; Joni Ernst, R-IA; Deb Fischer, R-NE; Jeff Flake, R-AZ; Lindsey Graham, R-S.C; Charles E. Grassley, R-IA; Ron Johnson, R-WI; James Lankford, R-OK; Mike Lee, R-UT; John McCain, R-AZ; Jerry Moran, R-KS; Paul; Jim Risch, R-ID; Ben Sasse R-NE; and Patrick J. Toomey, R-PA. The bill returned on Friday to the House, which earlier this week overwhelmingly passed a straight hurricane relief bill without the CR and debt ceiling provisions. The expected opposition to the new provisions from conservative Republican members was offset by support from Democratic members when the House passed the hurricane aid, CR, and debt ceiling bill on a 316-90 vote. All 90 NO votes came from Republican members. The short-term 3 month 2018 CR continues funding for education programs such as Title I and IDEA at current 2017 levels. CSF and others will now work with Congress and the Administration to assist states and damaged communities as they work to resume local education programs and services for students as quickly as possible. A critical aspect of the effort will be ensuring that school facilities are safe and functioning. Federal disaster assistance should be available to support school facility repairs. NAFIS School Facility Report: The National Association of Federally Impacted Schools (NAFIS) recently issued a report: The Foundations for Learning: The Facilities Needs of Federally Impacted Schools (click here to view the report). Data from the NAFIS Report survey identified a need of over $4.2 billion worth of ready projects that could modernize and improve the health and safety conditions of school facilities in federally connected school districts. These data cover 218 out of over 1,200 Impact Aid-recipient school districts. California schools districts are among the 218 responding NAFIS districts. Many of these school districts do not have the financial resources to address these school facility needs. Federally impacted school districts generally have fewer local resources for operational purposes due to the presence of tax-exempt Federal property. The NAFIS Report concludes, “School facilities matter. The status quo is inequitable and unsustainable. This survey data include over $4.2 billion worth of ready projects that could modernize and improve the health and safety conditions of school facilities. These data cover 218 out of over 1,200 Impact Aid-recipient school districts. As much need as is represented in this report, it represents the underinvestment of only a fraction of federally impacted school districts nationwide. Many essential construction projects are on hold due to lack of funds. The additional long-term costs of deferred maintenance are well documented. More troublesome than the economics of deferred maintenance is the impact on students. Additional funding is required to address the urgent and significant backlog of emergency and modernization needs for federally impacted schools. Thanks to NAFIS for The Foundations for Learning: The Facilities Needs of Federally Impacted Schools report and the information it provides about the school facility needs in federally impacted school communities. The NAFIS Report highlights the difficulty federally connected school districts face in addressing school facility needs. NAFIS school district financial difficulties are compounded by the connections to federal properties. School Facility Needs Nationwide: The 2013 Center for Green Schools Report, State of Our Schools, estimates that schools are facing $271 billion in deferred maintenance costs. The report estimates that the cost to bring schools into good repair and to address modernization needs is $542 billion over the next ten years. These numbers are clearly beyond the capacity of state and local community resources. California estimates are that $40 billion is required to build California’s new schools and to modernize old schools. School Infrastructure, Tax Reform: With the unexpectedly quick action on hurricane relief, short term CR and debt ceiling extension, Congressional talks about tax reform may become more serious as the Administration also calls for action on infrastructure this fall. School Infrastructure Bills: CSF appreciates the leadership of Congressman Bobby Scott (D-VA) and Senators Jack Reed (D-RI) and Sherrod Brown (D-OH) in introducing comprehensive bills, The Rebuild America’s Schools Act (H.R. 2475) and The School Building Improvement Act (S. 1674), calling for grants and bonds to finance the renovation, repair, and construction of public school infrastructure. CSF in Washington, D.C.: CSF members will be traveling to Washington in October to meet with the California Congressional delegation, Congressional committees and staff to make the case for investing in school facilities to advance student achievement and success as part of our nation’s infrastructure. CSF will be working with the Senate Finance Committee, the House Ways and Means Committee, Senators Reed, Brown, Congressman Scott and other Committees as Congress undertakes tax reform and considers infrastructure. This week, Senators Reed (D-RI) and Brown (D-OH) are introducing the School Building Improvement Act of 2017, which will provide a total of $100 billion in direct grants and school construction bonds over 10 years to help fill the $38 billion annual gap in school facility capital construction need. A 2013 Center for Green Schools Report, State of Our Schools, estimates that nationally schools are facing $271 billion in deferred maintenance costs. The Report estimates that the cost to bring schools into good repair and to address modernization needs nationally is $542 billion over the next ten years. This is beyond the capacity of state and local community resources. Federal support to help address school facility infrastructure improvements in California and every state is critical. The School Building Improvement Act would also create an estimated 1.9 million jobs, based on an Economic Policy Institute analysis that each $1 billion spent on construction creates 17,785 jobs. Californians for School Facilities is among the organizations supporting the School Building Improvement Act, which will be investment in school facilities in California and every state and our nation’s infrastructure. - Providing competitive grants for school repair, renovation, and construction. These grants focus assistance in states and communities with the greatest financial need, encourage green construction practices, establish equitable access for public charter schools, contain state matching criteria, and outline permissible criteria for spending. Projects also require the use of American-made iron, steel, and manufactured products. - Providing $30 billion for Qualified School Infrastructure Bonds (QSIBs); $10 billion each for FY 2018 through FY 2020. - Expanding Qualified Zone Academy Bonds (QZABs) for use on school construction and raising the QZAB amount to $1.4 billion per year FY 2018-2020. - Requiring the GAO to report on projects carried out under the Act within two years after enactment with periodic updates. - Creating a comprehensive study of the physical condition of public schools at least once every five years. Senators Reed and Brown are asking fellow Senators to join as Senate co-sponsors. CSF will contact Senators Feinstein and Harris to join with Senators Reed and Brown as co-sponsors. Thanks to all who support Californians for School Facilities and CASH efforts to build, renovate, repair and modernize Californians schools and classrooms. Below are links to the draft bill text and a summary of Senator Reed’s Senate school infrastructure bill, tentatively titled, The School Building Improvement Act of 2017. The CSF delegation met with Senator Reed’s staff during our Washington, D.C. Advocacy trip in May. The School Building Improvement Act of 2017 will provide a total of $100 billion in direct grants and school construction bonds over 10 years to help fill a $38 billion annual gap in school facility capital construction needs. The bill focuses assistance on states and communities in the greatest financial need by providing a grant program and School Infrastructure Bonds, and improvements to the Qualified Zone Academy Bond program. The bond provisions are similar to the bond provisions in the Rebuild America’s Schools Act. Congressman Bobby Scott and other House Members held a well-attended briefing last week for House staff on the Rebuild America’s Schools Act. The Rebuild America's Schools Act of 2017 would provide $70 billion in federal grants for school infrastructure upgrades and another $30 billion in tax credits to support school construction and to high-speed broadband internet access as well as school construction. A summary of the House legislation estimates the bill would create 1.9 million jobs. The Institute of Education Sciences estimates that schools nationally would need $197 billion to be brought up to good condition. The introduction of The School Building Improvement Act in the Senate combined with the Rebuild America’s Schools Act in the House will put two strong school infrastructure bills in the mix when Congress begins discussing infrastructure investments later this session. The President's budget propsoal, released this week, included the infrastructure plan linked below. The expectation is that real details, amounts, funding and purposes will be done by congress later this year or possible early next year. This is a start, but in its current form, not particularly useful for K-12 public schools. Congress is returning from a recess this week. Despite efforts by House and Senate Leaders and the Appropriations Committees, a bipartisan spending deal is needed by Friday when the FY 2017 Continuing Resolution funding government agencies expires. Congress must pass either an Omnibus Appropriations bill or another Continuing Resolution to avoid a partial government shutdown and to fund government programs for the remainder of the federal fiscal year through September 30. While no one in Congress is calling for a government shutdown, negotiations have been complicated by Administration efforts to secure additional funding for defense programs and partial funding for a southern border wall. Budget talks continue this week with a very short deadline even as the Administration calls for another effort to repeal and replace the Affordable Care Act and plans to announce a tax reform plan. It will be a major task for Congress to put together an Appropriations package to fund government agencies including Education and programs such as Title I and IDEA this week. Congress may have to pass a short-term one or two week Continuing Resolution to allow enough time to negotiate the final FY 2017 Omnibus funding bill or Continuing Resolution through September 30. Once Congress completes work on FY 2017 funding, it will begin work on a FY 2018 Budget Resolution, and start work on tax reform which may lead to more specific discussions of infrastructure. CSF supports a national investment in our nation’s infrastructure, including our nation’s public schools. The national need to modernize schools is extensive. The 2013 Center for Green Schools Report, State of Our Schools, estimates that schools are facing $271 billion in deferred maintenance costs. The report estimates that the cost to bring schools into good repair and to address modernization needs is $542 billion over the next ten years. This is beyond the capacity of state and local community resources. Federal investments through grants, tax credit bonds, low interest loans, and infrastructure banks to support state and local efforts to renovate, repair, modernize and build schools and classrooms will provide technology advanced, energy efficient, modern schools and classrooms to help prepare students for the 21st century workforce. At the same time, school facility infrastructure investments generate local construction jobs. Successful Federal investments in school facilities include: Emergency School Repair grant program, Qualified Zone Academy Bonds, Qualified School Construction Bonds, and Build America Bonds. A School Renovation program passed in the Clinton Administration and administered by the Bush Administration at the Department of Education provided approximately $1.2 billion to help communities make emergency school repairs and renovations. This urgently needed initiative helped states and thousands of local schools fix leaky roofs, correct faulty plumbing, heating, and electrical systems, and address other dangerous health and safety concerns in our schools, such as the presence of lead paint and asbestos in the classroom. Qualified Zone Academy Bond (QZAB) Program: Provides tax credits in lieu of interest. QZABs are used for renovation and repair of schools and have been used successfully by school districts in California and every state since 1998. Qualified School Construction Bonds: The American Recovery and Reinvestment Act (ARRA) increased QZAB authorization and created Qualified School Construction Bonds (QSCB) with more flexibility than QZABs and significantly more authorization. QSCBs were used by school districts across the county to finance thousands of projects to build, renovate and repair schools, generating construction jobs in local communities. Build America Bonds: Build America Bonds were also authorized by the ARRA for use by state and local governments. In some states, Build America Bonds were used effectively to finance school facilities. The 21st Century Green High Performing Public Schools Facilities (SMART JOBs): In the 114th Congress, Representative Maloney (D-NY) sponsored HR 5157 the 21st Century Green High Performing Public Schools Facilities (SMART JOBs) Act. This bill requires the Department of Education (ED) to make grants to states for the modernization, renovation, or repair of public schools, including early learning facilities and charter schools. School Building Fairness Act: In the 114th Congress, S.1505 sponsored by Senator Schatz (D-HI) provided grants through the Department of Education for the repair, renovation and construction of public elementary and secondary schools. Rebuilding America’s Schools Act: In the 114th Congress, Representative Rangel (D-NY) and Senator Brown (D-OH) sponsored the Rebuilding America’s Schools Act which permanently extends the QZAB program, increases the QZAB authorization level to $1.4 billion and allows for construction, renovation and repair projects. A local contribution requirement is reduced from 10% to 5 % which is critical for small and rural communities. The Rebuild America’s Schools Act will be re-introduced in the 115th Congress. Government Building Private Activity Bond: H.R. 960 introduced in the House by Congressman Kelly (R-PA) would allow tax-exempt private activity bond financings for “qualified governmental buildings,” including: elementary and secondary schools, state college or university facilities used for educational purposes, public libraries, courts, health care facilities, public safety facilities, and government office buildings. The bill assumes that a governmental entity has ownership under federal income tax law, which may differ from state law title ownership. H.R. 960 provides a special $5 billion volume cap that would require issuers to submit an application to the Treasury Department for approval. In 2016 California voters approved Proposition 51, an initiative to invest $9.8 billion in bonds to assist the financing of new school facilities, modernizing school facilities, career and technical education programs, and community college facilities in California communities. Additional federal support will supplement the resources provided by Prop 51 to meet California’s facility needs, which far exceed the resources of Prop 51. The Administration has announced infrastructure as a priority. Senate Democrats led by Minority leader Schumer (D-NY) are proposing a $1 trillion infrastructure bill, including $75 billion for schools that they say will create 15 million jobs. House Democrats are working on a comprehensive bill to focus on school facilities including grants and bonds. CSF looks forward to joining efforts to advance federal investments in our nation’s infrastructure, including school facilities. Federal investments in our nation’s schools with state and local partners through grants, tax credit bonds, low interest loans, infrastructure banks and other financing initiatives will help renovate, repair, modernize and build schools and classrooms to provide technologically advanced, energy efficient, modern schools and classrooms. Most importantly, it will help California’s and our nation’s students achieve and succeed in the 21st century workforce while also generating local jobs. Senate Democrats announced a $1 trillion infrastructure plan to rebuild the nation’s schools, roads, airports, bridges, seaports, V.A. hospitals, and broadband network. The Senate Democrats initiative would invest $75 billion in public school modernization through a formula program. The initiative also would also expand the Qualified Zone Academy Bond program. - Invest $75 billion to jumpstart public school modernization. The funds would be distributed on a formula basis to the public schools with the greatest and most urgent needs. Funding will ensure that school construction and modernization projects can get underway quickly without placing an undo financial burden on local taxpayers. - Also reauthorize the Qualified Zone Academy Bond program and expand its use to help public schools located in economically-distressed and high-poverty communities invest in their school districts. Californians for School Facilities has been working, and will continue to work, with the Senate sponsors of the Blueprint to Rebuild America’s Infrastructure. CSF also thanks Senators Schumer, Wyden, Brown, Nelson, Sanders, Leahy, Carper, Cantwell and other members for leading this effort. Additional details to follow when they become available. The following article from ConstructionDIVE (Dec. 1, 2016) gives strong reasons why schools should be part of any comprehenisve infrastructure program: Read the Full Article. The Senate Finance Committee approved a $95 billion tax extenders package extending 52 expired tax provisions for 2 years, including the Qualified Zone Academy Bond (QZAB) program...click here to read the full update. Californians for School Facilities (CSF) was formed in 1998 to advocate for federal funding for school facilities and to educate Congress and the Administration regarding the importance of clean, safe and modern schools to benefit student academic performance and the workforce of tomorrow. Since that time, CSF has been successful in advocating for more than $1.35 billion in 2009 and $1.26 billion in 2010 in Qualified School Construction Bonds (QSCB) funding, $1.4 billion in Qualified Zone Academy Bond (QZAB) funding in 2009 and 2010 and $400 million in 2011, and $100 million for emergency repair and renovation for California schools. CSF is now urging Congress to extend the QSCB and QZAB programs to pass school emergency repair legislation and requirements. CSF continues its involvement in issues related to E-Rate, the Americans with Disabilities Act, special education facilities and the resolve to carry out related federal requirements. Your membership in CSF ensures that your district or business will be the first to hear of federal funding opportunities. We play an active role in discussions with the United States House and Senate Education leaders to continue and expand federal funding for California’s school facilities.